Named as Blue Sage, this perennial, Blue Salvia is known as annual plants in temperate zones. They cannot withstand cold winters or hard frost. They come in variety of colors including orange, lavender, white and pink. Introduction and Uses: It is a perennial species, but is grown as an annual in India. The plants have bright green leaves, bearing long spikes of lavender-blue flowers. 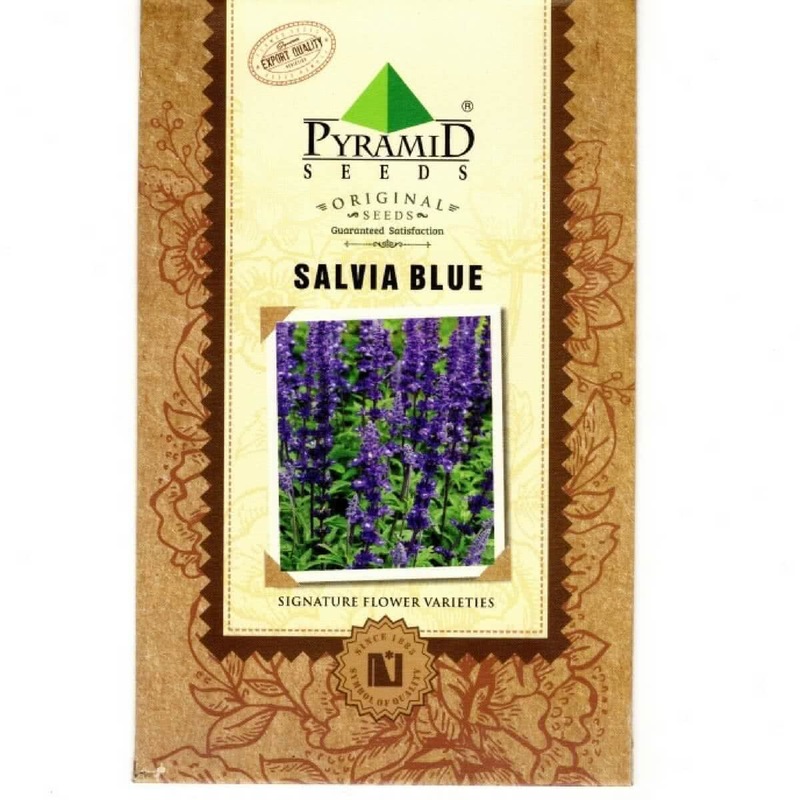 Salvia Blue is ideal for growing in mass, in flower beds, borders, pots, and background in the rock garden. It can be grown in the hedge, under trees and semi-shaded places. 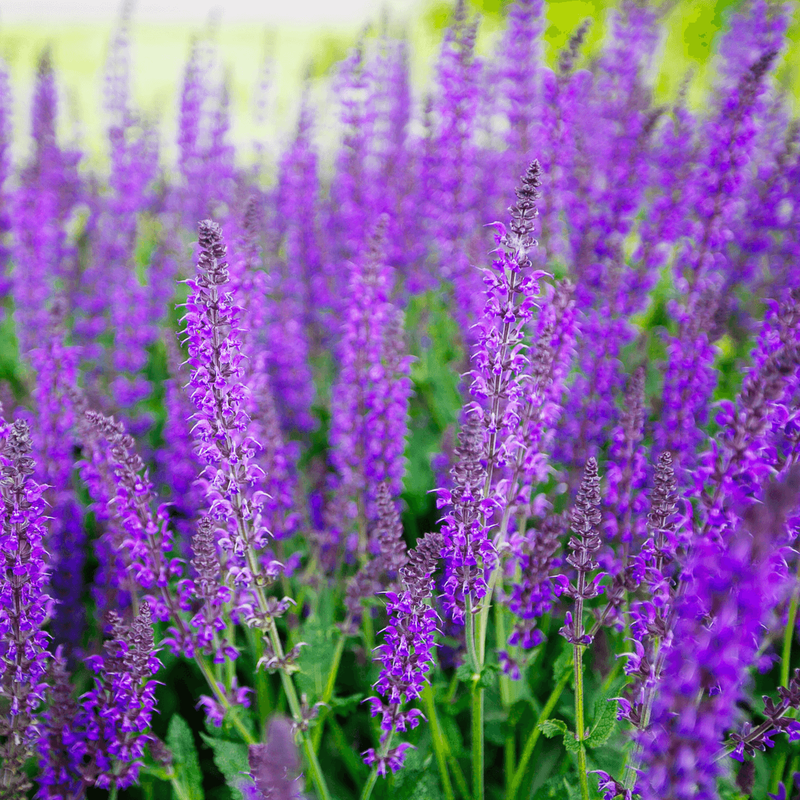 Salvia Blue is also used as a houseplant, but its flowers drop off quickly in indoor conditions. Propagation Method: Seed sowing, cuttings, and division of clumps. Salvia is grown by transplantation method. Seeds are planted thinly in nursery beds/ seed pans/seedling trays. Germination is slow and takes 10-15 days. Seedlings are transplanted in pots or flower beds when first two true leaves develop. Planting Distance: Spacing of 30-60 cm is recommended in the ground. Plants can be grown in 30 cm pot. Watering: The plants like liberal watering. Salvias planted in the garden are watered twice a week, and potted ones are watered every alternate day. Feeding: Salvias like fertile soil. When planted in the container it prefers a rich mixture of soil and cow dung manure in the proportion of 1:1. Too much nitrogen fertilization will produce leafy growth and delay flowering. Application of a well-balanced liquid fertilizer once a week is recommended. Bloom time: Salvia flowers in 3.5-4 months after sowing. Buy variety of flower seeds online. Regeneration: After the first flush of bloom is through, the plants are cut back, and top dressing of manure is given. After some time, new growths will appear for the second flush of flowering.